Kvinna till Kvinna has supported women’s rights in Rwanda since 2017. Rwanda has the world’s highest percentage of women in parliament, and there are strong laws to protect women’s rights. At the same time, norms and traditions still hold back women. We focus on preventing gender-based violence, supporting conflict resolution and promoting women’s participation in decision-making. In 1994, a genocide against Tutsis took place in Rwanda. In just three months, more than a million people were murdered. An estimated three million fled their homes. Women in particular suffered heavily: many were raped and infected with HIV, others lost their partners and were left widowed. After the genocide, the government made a concerted effort to rebuild society. Rwandan women played a key role in this process. One of the victories they achieved was co-creating a progressive new constitution, guaranteeing women at least 30% of positions in all decision-making bodies in the country. This has made Rwanda the world’s leader on women in parliament: 61% of seats are held by women. Since the genocide, many laws have also been passed to strengthen women’s rights. Today, for example, women have the same right as men to inherit land. 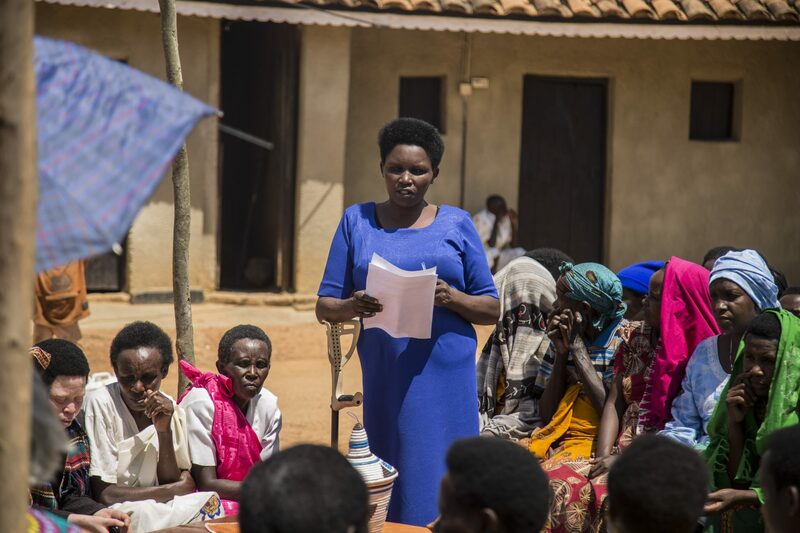 However, strong norms and traditions still exist in Rwanda, preventing women from enjoying their rights. Gender-based violence remains a problem. The National Institute of Statistics estimates 41% of women have experienced physical violence, and one in five have been sexually abused. That is Kvinna till Kvinna works in Rwanda: to ensure the country’s positive development continues. We strive for genuine equality, so that all women may participate fully in society. Our office in Rwanda is located in Kigali.